Recently, an old lady who loves playing CARDS was moved in upstairs. She invited me to sit in her house and was happy to show me her collection of playing CARDS and some poker-related collectibles. It turned out that when his husband was young, he was engaged in foreign trade and often traveled all over the world. Every time he went abroad, he would bring back playing CARDS and collections from abroad. Over the years, the old lady has collected more than a dozen foreign playing CARDS. It was an eye-opener to see so many wonderful foreign CARDS and collections. These CARDS and collections are so intricately designed that each one looks like an exquisite work of art. So, today, let’s talk about playing CARDS. Let’s find out the wonderful story inside the little playing CARDS. There are many claims about playing CARDS origin, the most widely accepted one is that playing CARDS first appeared in China, at least in 969 AD. A deck of 52 CARDS (excluding jokers) represents 52 weeks a year. The red joker, represents the sun; the black joker, representing the moon. The four seasons, namely spring, summer, autumn and winter, are respectively represented by spades, hearts, diamonds and clubs. Among them, red heart, square represents day, spades and clubs represent night. In addition, the four colors of playing CARDS have different implications: spades symbolize olive leaves, which represent peace; A red heart is a heart-shaped, denoting wisdom. The black pattern of clubs, originating from the clover; Diamonds represent diamonds, wealth, and good wishes. Next, let’s talk about the historical figures on K/J/Q. Diamond K: Caesar, the general and statesman of Rome. Caesar has a side face on a Roman Empire coin, so out of the four pieces of K, only the red square is a side face, and the historical figure is Julius Caesar. His hair was curled inwards, and he holds a war ax to symbolize power. Heart K: Charlemagne, King of Frank. There was a craftsman who cut off his beard while carving his figure. Therefore, only the king on the Heart K had no beard. His hair was curled inwards, and he held the sword behind his head. Club K: Alexander the great, who built a vast empire with Babylon as its capital. His clothes were always worn with jewels bearing the cross and this is a characteristic of Club K. His hair curled outward and his sword in hand. Spade K: King David, the ancient Israeli hero of the Bible, and a musician who plays the harp. Hence, the harp often appears on the Spade K. This is to commemorate David’s musical talent. His hair is curled outwards. Heart Q: Judith, the heroine of Israel. Under the siege of the army, the beautiful widow Judith stood up, put on her most expensive and beautiful clothes and went to the enemy’s barracks alone. And then she seduced him and killed him, and saved her city. Club K: Argine, Elizabeth of York. The Royal Lancaster in England is symbolized by red roses. The royal family of York symbolizes white rose. The two royal families reconciled after the war of roses, and tied the roses of both sides together. So the queen had roses on her hands. Spade Q: Pallas Athena, Greek goddess of wisdom and war. Of the four queens, he was the only one with a weapon. Diamond Q: Rachel, the female character in the Bible. She is Jacob’s daughter. Heart J: La Hire, Charlie VII’s attendant. He had a hatchet axe and a white ribbon. Club J: Lancelot, one of the twelve round table knights in the legend of King Arthur. Lancelot on a playing card, like the historical record, was armed with a spear. Spade J: Ogier, a servant of Charlemagne the great. He has no sword on his side. Diamond J: Saint Knight Roland, the attendant of Charlemagne the great. He has a tough sword, which symbolizes courage and courage. Read to here, you should know a lot about the historical figures of playing CARDS. But if you’re a poker collector, I think you’d also like to collect CARDS related to collectibles. So here’s a look at some of collectibles you might like to collect. 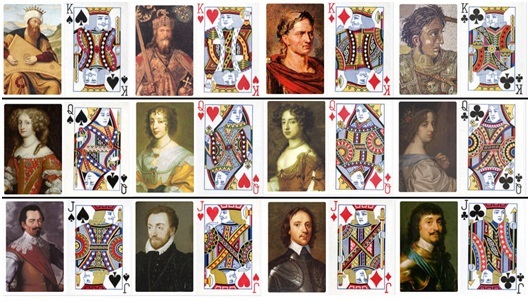 Do you know these playing cards historical figures that correspond to the above custom pins? If you do not know, please check the pictures of historical figures above, it will give you the answer. 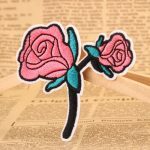 Also i have purchased these custom pins on the GS-JJ website. The quality is very good. 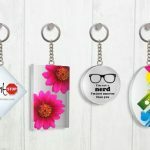 If you like it, you can go to their website to buy or customize.